His promoter Frank Warren has described this delay as “a liberty” and said he hoped either the BBBoC or sports minister Tracey Crouch would intervene. 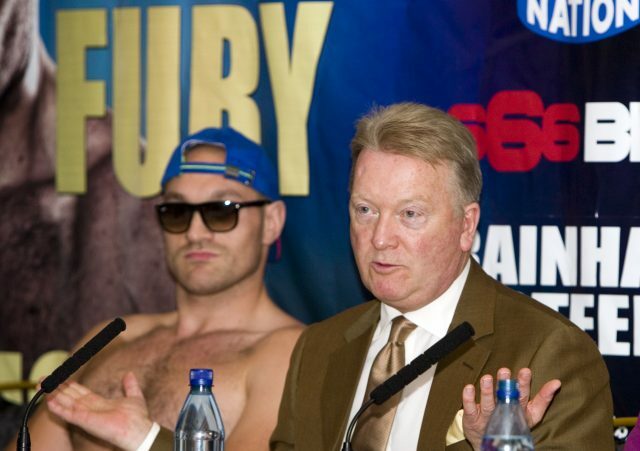 In theory, the BBBoC could lift his suspension at any time, but it is now clear it will not act until Fury has either been cleared by UKAD or served whatever ban he may receive from the panel. There is also no chance of Crouch – or whoever is sports minister after next month’s general election – interfering in the anti-doping process. The frustration felt by Fury’s camp is understandable, given the fact he has not fought since his famous win over Wladimir Klitschko in November 2015, a feat arguably trumped by Anthony Joshua’s thrilling victory over the Ukrainian last month. There is also no doubt a Fury-Joshua clash would be a knockout at the box office and with broadcasters. But it is also true that this is a hugely significant case for UKAD, which has a new chairman in Trevor Pearce, the former director of special investigations at the National Crime Agency, and has been lobbying government for more money and extra powers. Fury and his cousin Hughie, another leading British heavyweight, have been on the agency’s radar since traces of nandrolone, an anabolic steroid, were detected in their urine samples in February 2015, a story first reported by the Sunday Mirror last June. It is understood these initial positives were not considered strong enough for anti-doping rule violations, particularly as follow-up tests did not corroborate them, and Tyson was allowed to fight Klitschko in November 2015, while Hughie has had five subsequent fights. But those suspicious samples made it inevitable they would be targeted for extra tests in the future, which is what ultimately triggered UKAD’s decision to charge the pair. Tyson Fury’s position is complicated by something Warren has only recently revealed – the boxer refused to give a sample to a doping control officer last year.